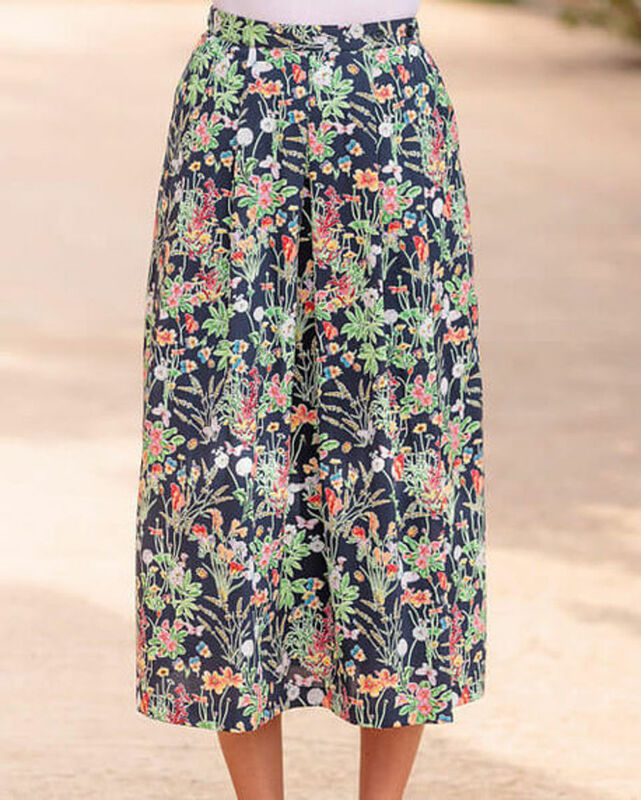 Ladies pure cotton floral skirt. Size 10-24. Lengths available. Excellent quality and first class value for money. I shop regularly online and am never disappointed. I am very pleased with this skirt. The pattern is attractive and the material has a lovely soft feel. What a lovely skirt! As usual, the size is perfect and the quality the same. I'm looking forward to summer so I can start wearing it. "Excellent quality and first class value for money. 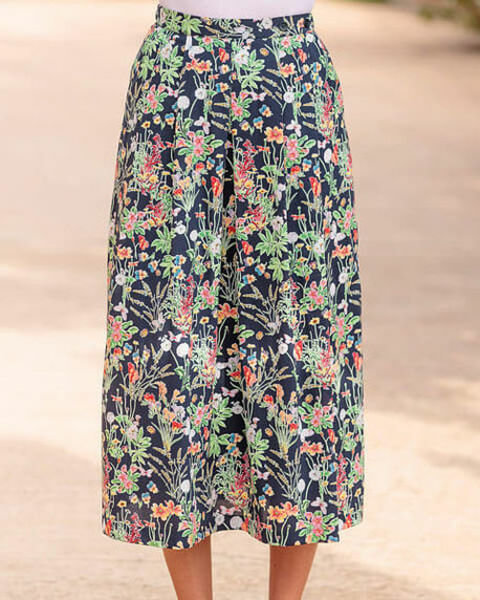 I shop regularly on ..."
Ladies attractive floral print skirt in tones of red spice, cornflower, mimosa, pale pink and sage on a navy base on a fine cotton lawn. Two button waist fastening, side waist elastication and front pockets. Centre inverted pleats with soft, unpressed side pleats front and back. Lightweight and versatile. Coordinate with any of our collection of blouses and knitwear to achieve a classic look.